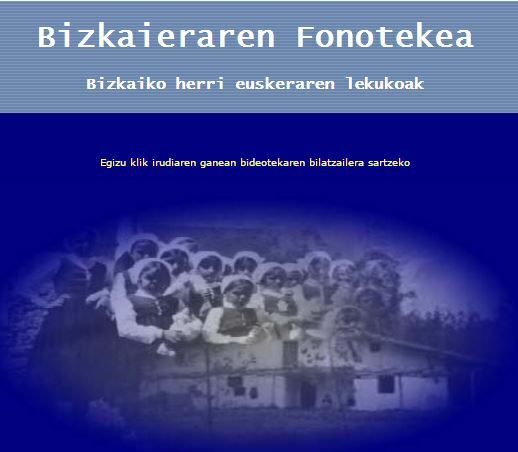 Bizkaieraren fonotekea is a sound archive created for the Basque variant spoken in the villages located in the area of Bizkaia. You will find all kind of recordings: traditional songs, old sayings, old legends… Through this project we want to show the invaluable treasure of our language and our dialect, not only to the interested people of our world but also to our future generations. All recordings are transcribed and labeled at different levels which allows the search under different variables. Give it a try! Saratxaga, I., Erro, D., Hernáez, I., Sainz, I., Navas, E. Use of Harmonic Phase Information for Polarity Detection in Speech Signals.